The United Nations Population Fund in collaboration with the Ministry of Health jointly signed a work plan worth 1.05 million USD as an additional estimated cost of 4.5 million for UNFPA to continue providing support for procurement and distribution of reproductive health facilities in the country. They signed the agreement at the Ministry of Health on yesterday. Speaking during the ceremony UNFPA Country Director Dr. Mary Otieno said their collaboration will continue to improve the country’s health sector. She thanked the ministry of health for collaborating with UNFPA during the implementation of the second UNFPA country program of cooperation from 2016 to 2018. “I am confident that this will continue for the third country’s program for 2019-2021,” Dr. Otieno said. She emphasized that part of the fund will be used to provide equipment supplies and trainings of nurses and midwives through the health sciences’ Institutes for an overall estimated cost of 4.5 million US dollars. Among other work plans, UNFPA will contribute to building a more resilient health system to promote sexual and reproductive health rights. She said the UN population fund would strengthen midwifery education and provision of bonded scholarship for students and midwives by supporting midwifery regulations and functional nursing and midwifery council. “UNFPA and Ministry of Health will collectively have a critical role to play in the delivery of theses results for the people of this Country. Hence, we will not spare any effort to achieve the planned results,” she added. On his part, the Undersecretary at the Ministry of Health, Dr. Makur Karyom welcomed the initiative and said that singing the document meant that the Ministry and UNFPA have agreed to cooperate again in the next one year. 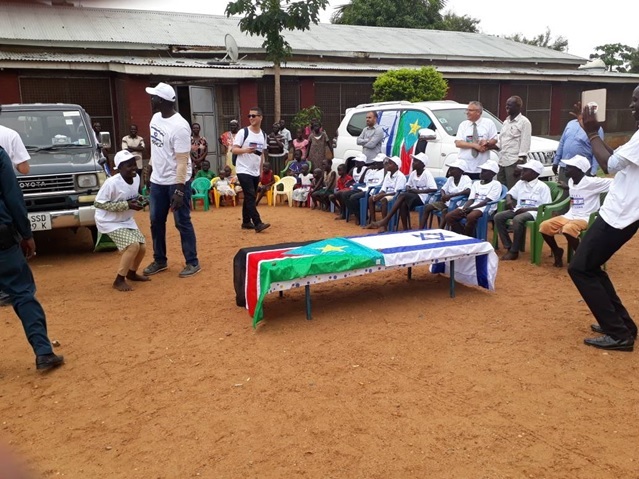 “The improvement of maternal child mortality came as result of this huge investment and we are very much keen to see into it that this achievement is built up so that at some points, we will truly say that there is no woman left behind in South Sudan,” Dr. Koryom said. He emphasized that with the help from UNFPA and other partners, the government will be able to address some of the challenges facing the health sector in the country.